Fig. 12.1. Conservation outcomes are influenced by the level of conflict and by the level of public and political support. 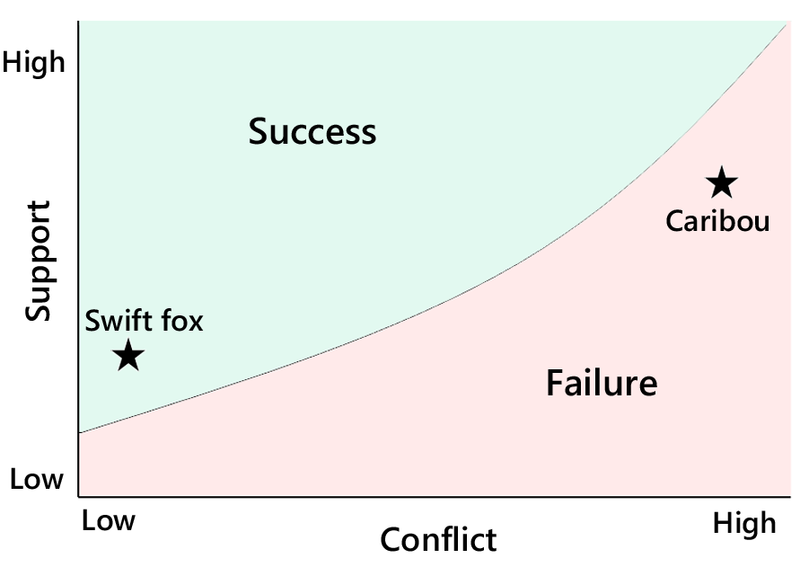 The swift fox reintroduction project had a low public profile, but also a low level of conflict. In contrast, caribou enjoyed a high level of public support, but conflicts with industry stymied recovery efforts.